I think you're smart and brave to make this decision, Chicky. Your reasons are absolutely valid. I am feeling fatigued on Day 4 - simply because suddenly there are too many offline things to do that are bigger priorities. Of course I will continue to read your posts. You take care of yourself - life comes first. Hugs! No Kala, nothing serious at the moment, but it can get worse if I neglect it. I don't know much about the rules. Don't care right now if they strike me off the list. Thank you, Lori! Do you also practice the Usui Reiki? Thank you so much, Vidya, for the kind words! I have absolutely no idea how you are managing 4 blogs! Blogging is Passion. And so one should stick to what he / she loves. Your posts would still be awaited. Life with priorities and health should definitely be your top priority. As far the blogging challenge you can always take it in your own stride. It's my first time with the challenge and I can safely say all your points are valid. Chicky my dear , firstly Hugs. Absolutely sensible, what you have decided, I am feeling drained by day 5 :) myself with no ailment or anything. And yes I will read all your posts in any case as they will be of good value for sure. Love. Reading and commenting does take its toll and I was going to comment in your 'calmness' post that it is playing havoc with my exercise schedule, which was all but nonexistent before. I got an earful (justifiably) from my hubby for sitting and only sitting the whole day. And this is after I have pre-written most of my posts (as suggested by the organizers). But there is no getting away from it, networking with other bloggers is a time consuming task. 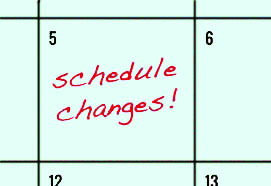 All the best with your revised schedule while I try to work in some activity in my schedule! Chicky, take care of yourself first. The posts can wait. We will be always there to read your posts. I agree what you said about the A to Z. Last year I had stopped after the letter G as I could feel it was being forced. Like you, I had too many things to do last year. Write whatever is comfortable for you. Thats my policy too. I think many participating bloggers have already done their posts and have scheduled them to come daily. I hope your health issues are sorted out but basically it is a good idea to blog bi-weekly - it does give you more time to do other things. Most importantly take care of yourself first and foremost... I will pop and catch up when *you're* ready! A-Z can definitely take a toil on us. I just have to go to work and no household works or anything. And yet I can't find ample time to ponder and write and keep up with the challenge. It's a wise decision to stick to something which works for us, rather than stressing over the whole lot. And take care of yourself. Posts can wait, but health won't. Of course I will read your posts and do what works best for you. I wrote a couple posts in advance and that's helping but trust me, daily blogging is not easy. You take care of your health first. Rest comes later. Hugs! Hope you are doing fine now. Like Vidya said, it seems everything on earth has decided to come up in my life right now. It like constant reminder set in my mind that by the end of the I have to write, read and comment! Phew! I'm also already tired and wondering until will I be able to continue. You're right, Aditya. Thank you! Thank you, Sunila! I'll be catching up with your posts on an alternate basis, I guess. Exactly, Dhalia! It calls for constant sitting on your computer/laptop! You even forget to get up to drink water at times! Last year, I'd decided that I would also pre-write all the posts, but I couldn't decide on a theme in time. So everything is last minute again! All the best to you for the challenge. See you around! Lata, I would have left it too, if I had continued the daily schedule this year. This way, at least the posts will get written, even if they're late! Thanks! True, Bellybytes! Most of the veterans have written all their posts beforehand. I guess that's the best way to do this challenge. That's a positive way to look at it, Tracy! Yes, it will extend the fun beyond April! :D Thank you! Oh! Nibhz, don't burn yourself out, girl! Change your schedule too if you need to! See you around! Even with a speedy connection, I find it irritating to do it on the phone. I think the daily blogging challenge is more to grow as a person and a blogger at two levels -- get into the habit of effortless writing and creating great connections. as long as you are able to enjoy the process and manage both , I guess you can create your own rules as you go along. wish you get better ..and hope you continue with your version of the challenge and have fun while you do so! Completing the challenge is important but not at the cost of your health. You obviously have a lot on your plate. Take care and look after yourself. You have a bunch of loyal readers so have no worries on that front! Take care of your health as that is more important than any blogging challenge. TC. That's true, theaddress! Thank you! Oh yes, Debbie. Having them all pre-written is the only way to do this challenge without completely cutting off other areas of your life! Let's see about next year, Debbie. I'm not much in favour of daily blogging challenges at the moment.